Start Your Orthodontic Treament Today With Only $200 Down! Must present this coupon. Not valid with any other offer or prior service. Restrictions applied. Where your smiles come first! Whether you are shaking hands for the first time during a job interview, a blind date, or even a family reunion, having confidence in your smile can help you make the best first impression. The quickest and most effective way to improve the look of your smile is with ZOOM 2 In-Office teeth whitening. Take advantage of this offer from Smiley Dental and Orthodontics for teeth up to 10 shades whiter in only an hour. After arriving for your appointment at Smiley Dental and Orthodontics, you will have a brief discussion with the dentist before a whitening gel is applied to your tooth enamel and heated with a special lamp for about 60 minutes. The heat lamp activates the ZOOM 2 Teeth Whitening gel, releasing oxygen that gently bleaches your teeth without harming them. Present this coupon and receive a Zoom 2 Whitening Treatment for only $280( regular price $700). Start Your Orthodontic Treatment today with monthly payments as low as $49. Smiley Dental & Orthodontics is a dental practice with the utmost QUALITY and INTEGRITY of a professional team united together to provide care, above the standards of its profession in the most expedient and comfortable way as possible by utilizing the best quality materials and methods available. At Smiley, we will listen to your oral health goals and needs and explain to educate all procedures for your knowledge. Our team provides superior service while treating you and your loved ones like valued members of our family. 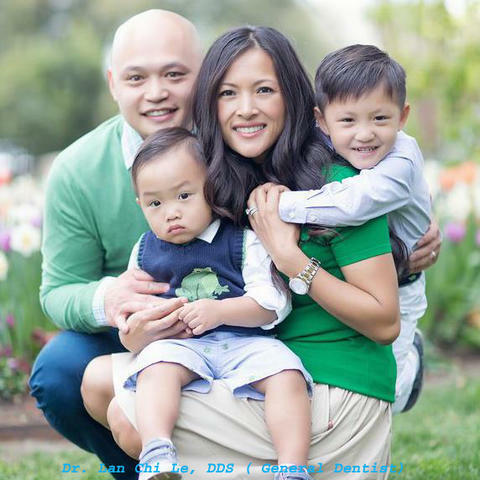 In a warm caring atmosphere, we offer state-of-the-art experience in pediatric dentistry, orthodontic dentistry, general dentistry, endodontic therapy (root canal therapy), oral surgery (wisdom teeth simple and complex), and cosmetic dentistry. 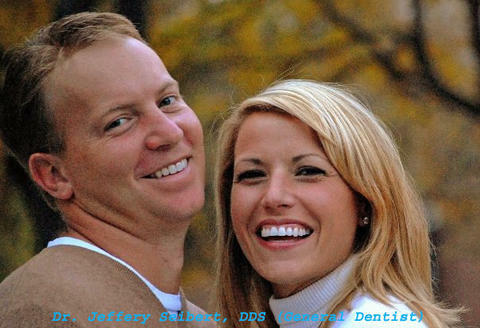 You deserve a radiant beautiful smile, and we deliver exceptional results. From first time patients to young children and adults who need dental work, or who are in pain, or who needs to maintain your oral health, our patients achieve the best dental health with extraordinary smiles. We have 18 locations in the DFW area and 1 location in Houston to proudly service you. Please use our website to explore our services, to learn more about our team, our website, and to find answers to your questions. Together we can make sure you and your family enjoys a lifetime of healthy smiles. nancytorres 08/09/2012Great dental experience understates my satisfaction with my first visit to Dr. Pham. She did not try to sell me on unnecessary procedures. She was pleasant, straightforward and knowledgeable. It was a refreshing visit in every way. troy00956 07/09/2012Employees were great, they made me feel special and relax while taking care of my needs. kacsur75016 05/24/2012I had my teeth clean and filled and I could say that I am satisfied with the job she had done with my teeth. 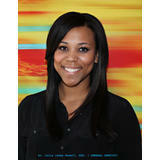 ambernutt23 05/21/2012Best teeth cleaning place to come to, they are professional and really friendly. During my teeth cleaning I didn’t get hurt like past dentist I’ve been to. They took great care of me. dalecarperson 04/03/2012I have been a patient for years and I have been extremely satisfied with the dentist’s calm and knowledgeable demeanor. She’s always extremely friendly and more than willing to answer any questions that I have. Besides regular cleanings, I have gotten fillings, x-rays and even a couple of lectures about flossing more. Hey, I actually like the parental lecturing. thehendersonfam… 02/14/2012I got my teeth whitened for the first ever. I was a bit nervous but the doctor told me there was nothing to worry about. My teeth look better than they have in my entire life and I am so happy I decided to go through with it. Thank you so much! alvarez… 02/06/2012I feel like I am really taken care of. The staff is very welcoming and friendly when you walk in. They keep you comfortable while you wait. I am always happy with the cleanings that I receive here. molly.sims59 01/23/2012The staff here is very friendly. The exam and cleaning went very well. 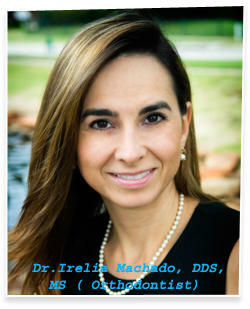 The Dr. made you feel very comfortable and relaxed and made the whole experience pleasant. pam_lvs.spam 01/09/2012They performed a exam and cleaning, and I don’t remember ever getting such a thorough and extensive cleaning…it was great. The staff was caring and friendly. ian.sandrelly 12/28/2011This office was really nice. My visits are always pleasant due to the friendly people here! romeoprice3 12/06/2011I had other appointments and needed to get in and out. I was able to have my visit complete in less than 2 hours including the new patient paperwork. fatimalee78 11/21/2011My son fell while skateboarding with his cousin and chipped his front tooth. We were able to get him in to see a dentist at Smiley and they took great care of him. His tooth is fixed and it’s almost impossible to tell she had to have his toot repaired. nanny4kids54 11/17/2011I am more confident and feel completely natural smiling now. I don’t cover my mouth with my hands when talking anymore. I receive many compliments about my smile. bart12tj 11/15/2011I am writing to offer my support for the doctor, who did a beautiful job on my daughter Jennifer’s teeth, but also showed our family such kindness and compassion. gonefishin4life 11/14/2011I had been going to a different practice for many years… I knew something was wrong when I could no longer chew comfortably and was experience pain on all sides of my mouth. After Dr. Pham complete) many crowns… and a bridge … my teeth look and feel wonderful and my mouth is completely healthy! I can now smile and laugh with confidence. randycowboy32 10/26/2011Dr. Pham and her staff are an amazing team! She is the best dentist I have ever had, very caring and fun at the same time. Her assistants are just as nice- they always welcome me with open hands and try very hard to accommodate my random work schedule. I love going back to that place and would recommend it to anyone. Top notch dental service. rangersilver15 10/25/2011I came here for a dental emergency. I don’t want to bore everyone by describing my dental issue, but although I had to come back 3 days in a row to get the problem fixed. The experience was the best I have ever experienced with a dental office. My situation was pretty unique and several options had to be attempted to figure the best solution. I received a follow up phone call the same night. Hands down would recommend to anyone looking for a dentist. alicenotwonders 10/25/2011 .I actually visited office several months ago, but I am still basking in how wonderful of a dentist experience it was. I was new to the area and selected his office on a whim because it was in my neighborhood, but I was so impressed by how friendly the hygienists and the dentists were, and the experience was so efficient and painless. This is hands down the best dentist experience I have ever had, and I must admit . . . . I am looking forward to my next cleaning! allcon98 10/19/2011As a new patient to Smiley Dental, I have been thoroughly impressed by the level of care and concern by both the staff and Dr. Pham. Previously, I had been a patient of the same dentist for over 15 years, so my expectations were very high. 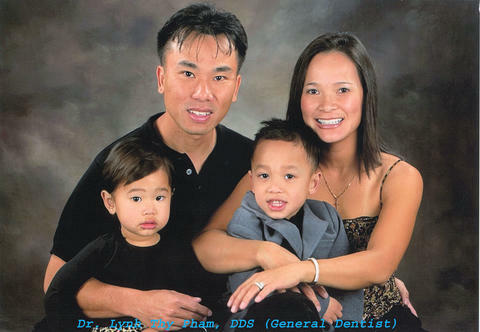 I had some serious issues with my teeth, and Dr.Pham and her staff helped me to address them in a way that made me feel comfortable physically as well as emotionally. The communication was exceptional, and I always felt I was in the driver’s seat when making decisions about my care. chelsea.geee 10/14/2011People always talk about how hard it is to find a great dentist, and I’m thrilled to say that I lucked out on the first try. Everything about the visit was smooth and painless. The office was spotless, the receptionist was very sweet, the procedures were gentle and thorough. balan97 10/06/2011The staff is wonderful! Knowledgeable and personable, the best around! His office staff is terrific as well. They go above and beyond for their customers and treat me so well! All my dentist fears left when I found Smiley Dental! CoachThomas 09/27/2011The hygienist who cleans my teeth is very thorough and professional. They always seem to make an unpleasant experience somewhat tolerable. yumi_taste 09/27/2011It is always a good experience. The staff makes me feel like they remember who I am and are always friendly and caring. kendricks 09/22/2011My wife and I were looking for a new dentist due to our dissatisfaction with our previous dentist. We were used to rude and painful visits. After researching many dentists, I visited this office based on the positive reviews found online. I was not disappointed. From the moment you walk through the door you feel comfortable due to the friendly staff. My wife and I booked our appointments together and we both had a very positive experience. I strongly recommend this dental office based on my first visit. sandyisspoiled 09/19/2011When I needed to get a root canal I came here from a referral. They were really nice and made me feel very comfortable. The office was clean and front desk staff was extremely helpful. Sandybikes 09/16/2011I brought my son here when he got a cracked tooth playing baseball. They were so helpful and gentle. They helped calm him down when he was feeling scared. They did a great job too, they fixed it up really nice. billydabullride… 09/14/2011I ran very late for most recent appointment. The Dr. and her staff were very understanding and accommodating. The work was efficient and painless. She is thorough, smart, professional and charming. poohcub01 08/25/2011If all dental offices were like this one, no one would ever be afraid of going to see a dentist. It’s refreshing to have an extremely knowledgeable, practical, meticulous, caring, and personable dentist work on my mouth. It took me a long time to find this place, but I am now blessed. Brianfunk 08/19/2011The staff along with the dentist are the best very professional & polite. They gave me the best care possible. The dentist did a whitening and I now have a million dollar smile which I love I just can’t stop smiling. Thanks for my 5 star smile. carolgtexas 08/18/2011I went to Smiley Dental to get my teeth whitened. I have been wanted to get this done for a few months now just didn’t have the time or money to do so. Surprisingly it wasn’t nearly as expensive as I had always thought. My teeth look great and I am so happy that I finally did it. jessam46 08/17/2011Great Dentist! I have been coming to Smiley Dental office for over 5 years and have referred many of my friends and co-workers, and all of them have thanked me for the referral. The staff is always friendly and they are very high tech and very good at explaining things. Keep up the good work! jessam46 08/16/2011Great Dentist!I have been coming to Smiley Dental office for over 5 years and have referred many of my friends and co-workers, and all of them have thanked me for the referral. The staff is always friendly and they are very high tech and very good at explaining things. Keep up the good work! priscilag86 08/15/2011I can’t say enough great things about this Dr. My son had a really bad experience with his previous dentist and was deathly afraid of going to the dentist. They really take the time to make sure my son doesn’t start getting upset and isn’t afraid. michelle487 08/12/2011I really like this place they give you good service and I like coming to get my check ups. They are very fast there’s never a long wait time and they take their time to answer any questions or concerns if you have any. barbiebox 08/11/2011Found this place though their website which is easy to navigate and extremely thorough. I was looking for an orthodontics practice that also worked with adults and both the website and practice did a great job of appealing to grown-ups and kids. The office and examination areas are spotless, clean and the staff, from the front desk to the assistants, are wonderfully friendly and professional. They have lots of great little touches that are quite thoughtful: toothbrushes to use before your appointment, water for afterwards, up to date magazines in the waiting room. I’ve had no trouble scheduling appointments or being seen on an emergency basis for minor problems and I’ve rarely had to wait more than a couple of minutes to be seen. I’d highly recommend this place to anyone thinking about getting braces. bmink1971 08/10/2011I was having issues with my rear upper teeth. Ya know when you drink something cold and it hurts and you just know that there is something wrong? So that was what was happening to but I kept putting off going to the dentist and eating on the other side of my mouth. Well that only lasts so long so I called and told receptionist my symptoms and the degree of pain and she scheduled me within 2 days. Luckily for me it was just a filling which I got to match my teeth even though it’s in the back of my mouth. I appreciated the quick service and the ease I had at my appointment. Erica 07/26/2011I’ve been going to Smiley Dental for years. The work is very inexpensive compared to other clinics I have been to. The Dr. has an amazing gentle touch that makes the entire experience pain free. Ttatii 07/22/2011My experience at Smiley Dental has been more than a delight and very professional. I actually am afraid of any dental work. However in this place they handle you with silk gloves. Never feel any pain, your appointment is always kept. No sitting all day waiting to be seen. GREAT PLACE and highly recommended. carlbeam30 07/15/2011Smiley Dental has great customer service and I was very happy with how the staff treated me. It was a pleasure to be able to go to someone and feel like I am being taken care of. carlbeam30 07/14/2011Great Dentists! 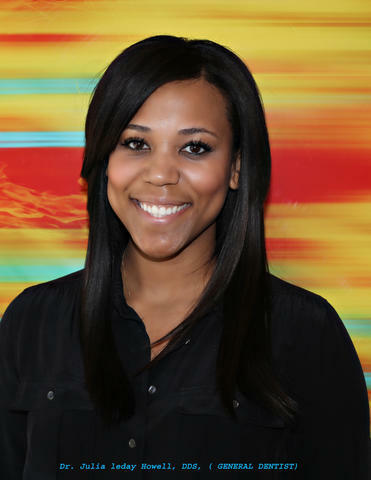 Smiley Dental has great customer service and I was very happy with how the staff treated me. It was a pleasure to be able to go to someone and feel like I am being taken care of. teaganq 06/21/2011I chipped my front tooth on Memorial Day and I was apprehensive that the front filling would not look like her natural tooth, but wow! Dr worked her magic and it looks as if it was never chipped! ryleeMo 06/20/2011Smiley Dental has so many great qualities in a dental office that it puts others to shame. They provide excellent services, the office environment is clean and comfortable and the staff is very family oriented. This is such a wonderful place for full services. Abel97 06/17/2011The dental care that my mom received was wonderful. The staff showed a high level of concern for her and took the necessary precautions to provide her with excellent medical care as well. I highly recommend Smiley Dental to everybody. katyp43 06/15/2011The entire staff was very nice, gentle and helpful. They are quite accommodating and I think they do a great job of eliminating terror from the dentist experience. FalicityW 06/14/2011The Doctor made me feel good and really, really comfortable. Thank you very much for your patience. felicityw75 06/13/2011The Doctor made me feel good and really, really comfortable. Thank you very much for your patience. emmas35 06/13/2011Wonderful Doctor! She took the time to discuss any concern I may have. trevorcampos 05/23/2011The Dr Lynh and her staff are freaking amazing. Everything that made me hate going to dentists my whole life is flipped around like an opposite universe! The staff were friendly and attentive. The hygienists seemed more like somebody who works at a spa than someone about to scrape your teeth with metal tools. wdan74 05/23/2011Great dental experience! Bottom line, if you are looking for a dentist, start here. You may get put on a waiting list when scheduling an appointment, but so what? Who’s in a rush to get to the dentist? And really it’s worth it because I can’t recall a better dental experience. pecanpie19 05/23/2011I love Smiley Dental. I never feel they are trying to perform unnecessary procedures. As a bonus, whenever I go in, they greet me by name, seem to remember things we talked about from my last visit, and try to make me as comfortable as possible. stronzisstrong 05/18/2011Each time that I come here to get my braces tightened is a great experience. 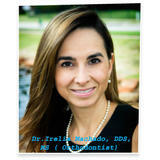 The Dr. has a great personality and makes the visits very pleasurable, very helpful with the financing. I love the entire staff. I am very happy with everything. .
terrywill4 05/16/2011I really cannot recommend the Dr. highly enough. The rest of her team is fantastic as well. I was also very impressed that she took the time to understand my dental and overall health history and asked me questions about my lifestyle as it pertains to my teeth. Also there was no waiting!!! Austin 05/05/2011This is where I had my braces and my teeth look great now, The dr always takes the time to explain everything to you and make sure you are comfortable.